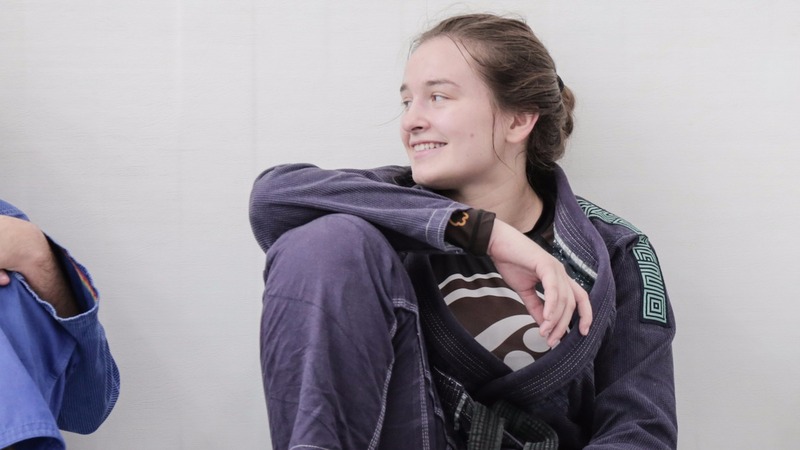 Four-time black belt Dominyka Obelenyte recently switched teams, leaving Marcelo Garcia-Alliance to train at Team Fabio Clemente. The 21-year-old, who received all of her belts blue through black from Garcia, holds no ill will against her former instructor and maintains a friendly and respectful relationship with him. "I’m not going to delve too deep into why I switched but there were certain circumstances that arose in my time there and I kind of saw my time there running it’s course," Obelenyte said. "Just kind of needing something else that I couldn’t find there, that I happened to find here. "In this academy I feel a different level of support and different type of family. Not necessarily so much better, that it made me reconsider everything Marcelo has taught me – no." I have the utmost respect for my former instructor, he will always be the person to have given me belts blue through black, I’m always going to respect him, and he’s always going to be a really important vital part in my jiujitsu journey. "I just felt it was time to move on for myself. And that’s not to discredit Team Fabio Clemente, these guys have been really amazing to me and they’ve provided me with great training, lots of support, they’ve really opened their doors to me and taken me in as one of their own as soon as I showed interest in becoming part of their team."